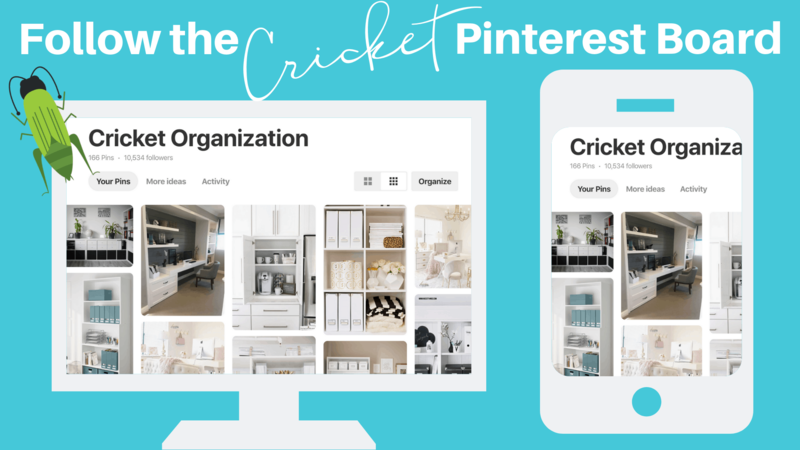 Crickets tend to be “traditionally” organized and prefer minimal visual clutter in their homes and work spaces. Crickets also prefer detailed, Micro-Organizing systems and are often a bit of perfectionists when it comes to setting up and using these systems. Until the “perfect”, detailed organizing systems are put into place (or until Crickets have time to use them properly), a Cricket will often “pile” their belongings. They are very neat and tidy piles, but piles nonetheless. Crickets tend to be very logical and like things in a certain order. Once an organizing system is in place, the Cricket will have no problem following it…it’s just a matter of finding the time to setup the right system! Crickets are often quite organized and maybe even a bit over organized. Sometimes perfection can be paralyzing! 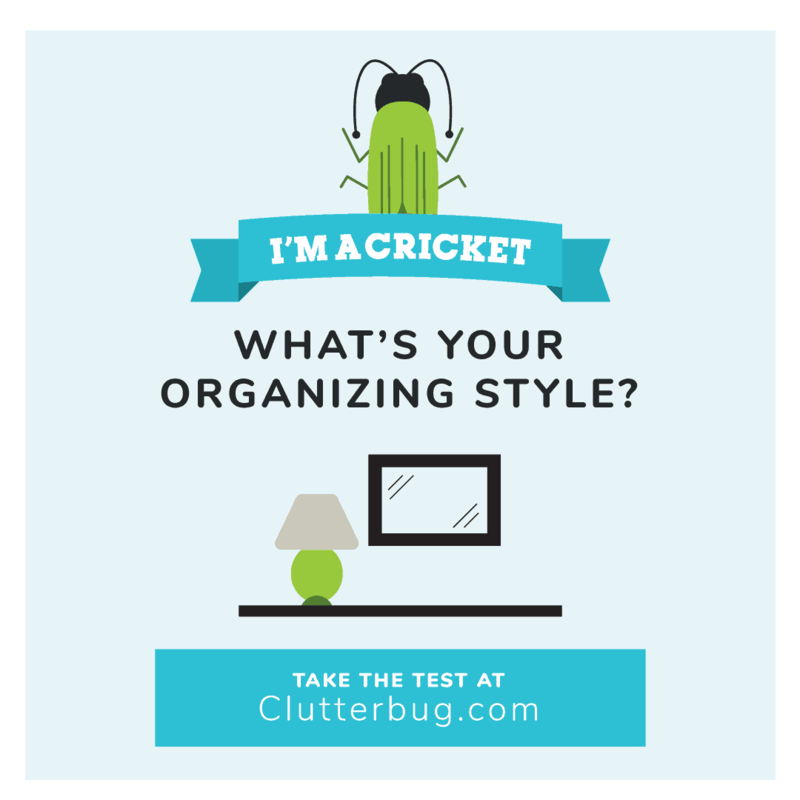 Crickets like very detailed and logical organizing systems which can sometimes take too much time to setup or too much work to use them properly. Remember, good-enough organizing today is better than perfect organizing tomorrow. You can always go back and tweak the system to make it better, but at least it is put away for now. The best solution for a Cricket is to let go a little bit. 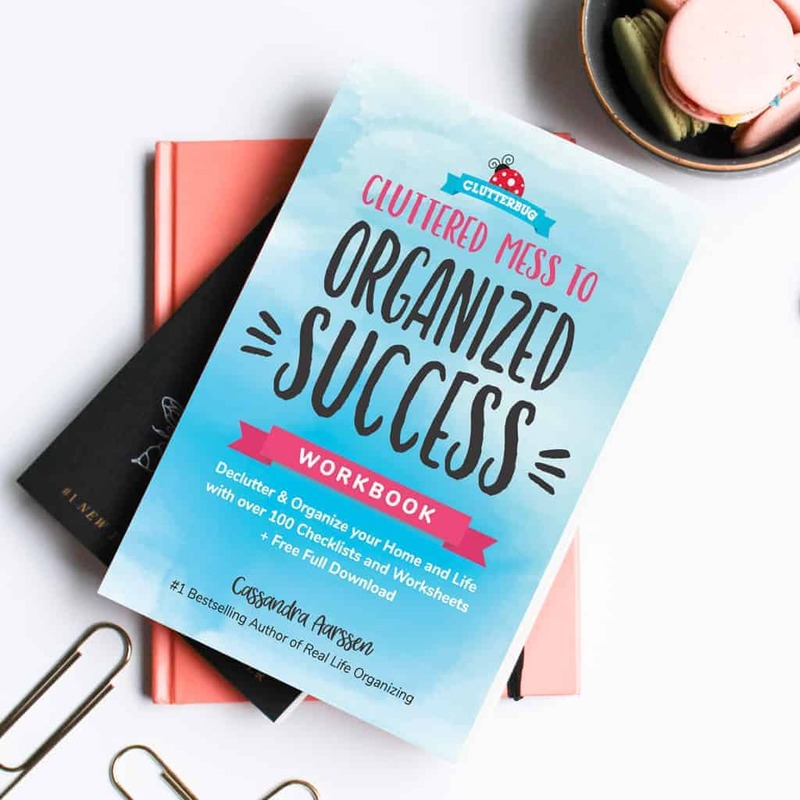 Try “Macro-Organizing” your piles instead of “Micro-Organizing”. Here is an example: Joe wants to file his financial paperwork into a filing system. He wants a file for his investments with a separate folders inside for each year and fund. He also wants a separate folders for stocks and one for his children’s RESP. In the meantime all his papers are stacked in neat piles on his desk..and have been for months. A good solution would be to make one file called “investments” and file everything together for the meantime. He can always “micro-organize” this file folder at a later time, but at least it is easy for everyone to find right now. Setup a paper filing system. Create a “Short Term” filing system for your monthly bills and statements and a “Long Term” system for your contracts and papers you need to keep long term (like taxes). Be sure to create a vertical paper filing system, such as hanging file folders. When it comes to paper, VERTICAL IS VISIBLE AND HORIZONTAL IS HIDDEN. This is why we often “forget” what is in our paper piles. Label each file folder. Use general categories (Financial, Utilities, Insurance, Auto, School etc) to start until you have more time to make a detailed filing system. Paper is a Cricket’s biggest organizing issue. Make time to set up a system today. 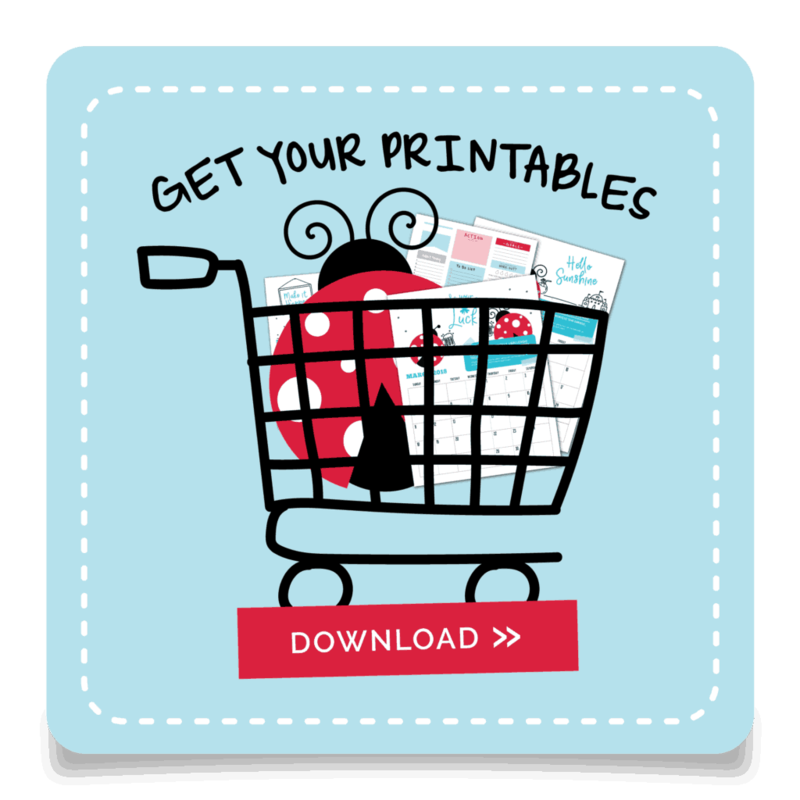 Be mindful of other “ClutterBugs” in your home or workplace and make sure that your systems are easy enough for them use. Set a timer when organizing to encourage you to move fast and stay focused. Use stackable storage solutions that are solid colors and have smaller containers inside. If you do use bins and baskets, label, label, label for the other “Clutterbugs” who may also be using your system. Place open baskets or bins on your desk or kitchen counter to hold you piles until you can get to them. This will be a visual reminder that your stack is getting too big for the basket and it is time to put it away. Make yourself a to-do reminder on your phone or computer that automatically reminds you of the tasks you want to complete each day. Turn off distractions like your phone, email and television when starting a project. A labeler is your best friend. Label containers, file folders and just about everything else to ensure that you (and your family members) put things away properly. Paper is your nemesis! Invest in a paper shredder and use it….often!! Bento box style organizers are made just for you! Fill them and stack them with all of your smaller belongings. Embrace “good enough” organizing. Letting go of perfection can help you get so much more accomplished. Want more tips for Crickets and how to work with other “ClutterBugs” in your home? 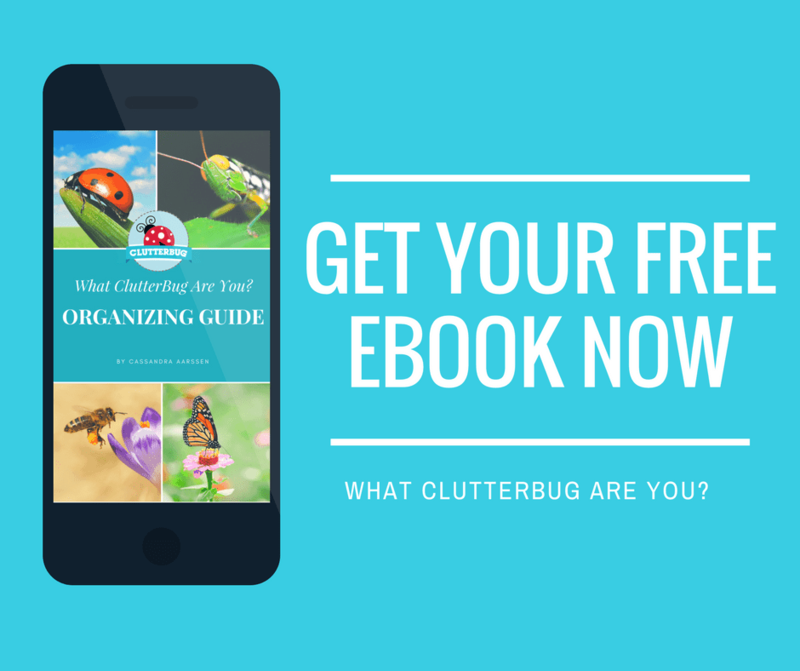 Get Your FREE What ClutterBug Are You Ebook Now !